Find the stories. Make lesson plans. Put it online. 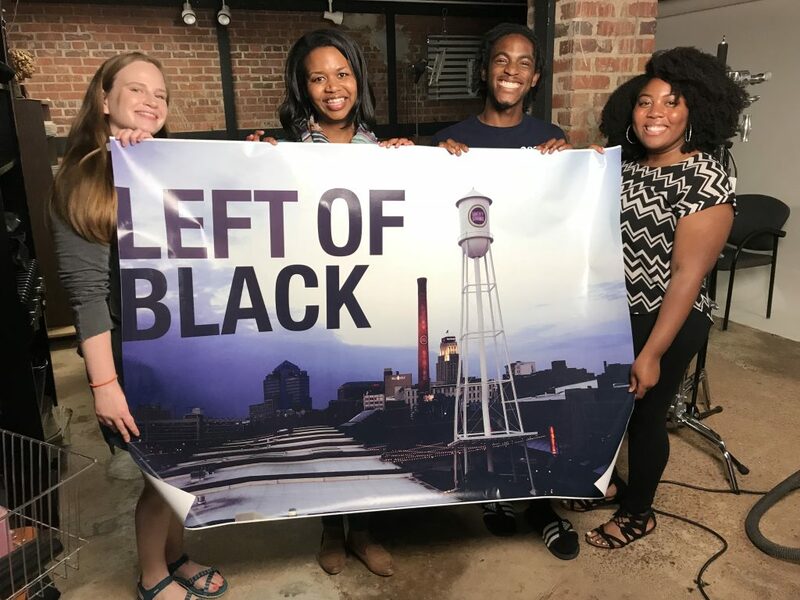 That’s what a team of students working for the weekly webcast Left of Black was tasked with this summer, but it wasn’t so simple. The webcast showcasing scholars, artists, musicians, just completed its 8th season. That meant there were nearly 250 videos and guest interviews to sort through, many of which hadn’t been in circulation since they first aired years ago. With funding from Story+, a 6-week summer research program in the Franklin Humanities Institute (FHI), the students, two graduate and two undergraduate, set out to accomplish the mission. Using their respective skills of creating lesson plans, video editing, website building and some acquired new skills, they found interesting stories in the Left of Black archive and turned them into online teaching modules for middle- and high-school students. The enrichment modules include a video clip derived from a Left of Black episode, a lesson plan and a “digital student experience,” as well as supplemental reading. 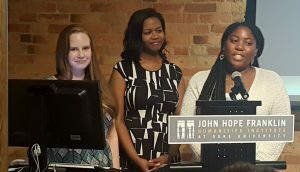 The Story+ Left of Black team exceeded their initial goal of creating two modules — the team was able to produce four — and made their final presentation at a FHI research symposium on Wednesday, June 27 at Smith Warehouse. Allison Raven, Nicole Higgins and Ce’Ondra Ellison presenting at the FHI Research Symposium. The themes covered in the modules are: service and citizenship, the cultural significance of Black barbershops, the role of music in the Black Power Movement, and Black armed resistance. Each module includes discussion questions, timelines, vocabulary and further reading and is in alignment with the state’s common core standards. The digital experiences and lesson plans can be accessed online here: https://sites.duke.edu/leftofblackenrichment. Duke undergraduates Ce’Ondra Ellison and Malcolm Brown had both taken classes in Duke’s Department of African & African American Studies and were passionate about what themes and characters they might find. Brown was enthusiastic about the project, and quickly grasped the technical aspects of the project like animating a grandmother for a video clip about Black armed resistance. Graduate students Allison Raven and Nicole Higgins each had prior experience teaching in classrooms and creating lesson plans. The Story+ experience “allowed me to stay connected to work I had been doing before with high school teachers, which is easy to lose in academia,” Higgins said. “I think we have been extraordinarily lucky with our team. None of us knew each other before beginning the project. For something that relies so heavily on teamwork, this could have gone really badly, but we all balance each other really well and work well together. And I loved the collaborative aspect,” Raven said. As a team, Raven said they gained a deeper understanding of how to tell stories in the digital age and which tools to use, including social media. The team won FHI’s Story+ Instagram challenge. 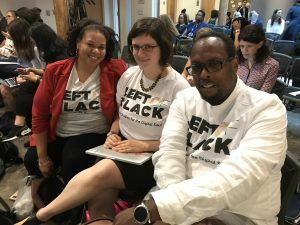 FHI’s Chris Chia, Amanda Starling Gould, and Eric Barstow, provided infrastructure and guidance as the Left of Black team delved into the archive and selected a WordPress template on which to build the website. First started in 2010, Left of Black is now entering its 9th season. Neal has interviewed a number of notable scholars over the years including Carrie Mae Weems, Cornel West, Michael Eric Dyson, Marc Lamont Hill and Melissa Harris Perry. There are plans to continue building the Left of Black curriculum and digital platform. AAAS Town Hall 2018: Reparations Now?